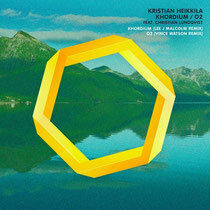 'Khordium / 02' are two tracks taken from the forthcoming album by Kristian Heikkila and are accompanied by remixes from Lee J Malcolm and Vince Watson. With a history of producing some of Sweden’s finest underground hip hop artists, Kristian Heikkila went back to basics a few years ago. 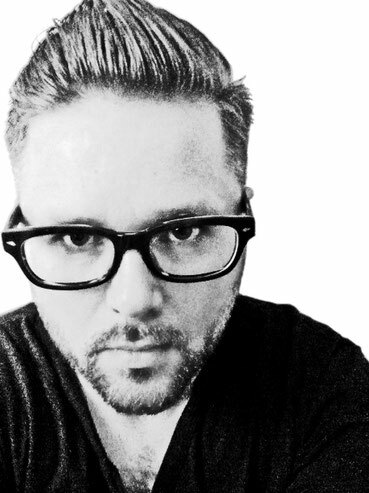 Techno and house has always been the real passion of his life and after a few releases on different labels he teamed up with Christian Lundqvist in 2006 to form Kristian & Christian. After a digital release on Kupei Musika, they ended up on Thomas P Heckmann’s label A.F.U. Lab. Some live gigs later Kristian & Christian decided to take a pause. Now Kristian Heikkila returns with the essence of what they did, delivering productions influenced by acid house, hip-hop, D&B and techno. With both ‘Khordium’ and ‘02’ (one of two tracks from the album which features his Kristian & Christian production partner, Lundqvist) we get the first taste of what’s to come on his album. Kristian blends house grooves with minimal tech beats, while exploring tribal rhythms and experimenting with striking drops and breakdowns to keep your attention throughout. Lee J Malcolm takes a break from his own productions on EPM that so far include his debut solo album ‘Folded Spaces’ and the recent single ‘Now For Prague / Toulouse Or Not’, to give ‘Khordium’ an extra techno punch for his upbeat reworking. Vince Watson turns in a stunning remix of ‘02’ with all the depth, soulfulness and groove that we’ve come to expect from the Glaswegian talent. 'Khordium / 02' is released 2nd April on EPM Music and will be followed by a second single in May, ahead of Kristian's debut solo album, 'Kombinations' in June. hyvä kristian . serkkus suomesta kirjoittaa tämän . laita linkki mist osaisin kuunella teitä . Noid, nice beats! The link above, is it the one to go for tracks?